Dynamic reflections in the scene may significantly drop the performance if they aren't properly set up. For example, the planar reflection doubles the polygon count since it takes into account all geometry in the scene by default. It may raise performance issues in large and heavy scenes. As an alternative, you can try to keep the number of reflections as low as possible. However, there is a way to optimize dynamic reflections usage without visual losses. 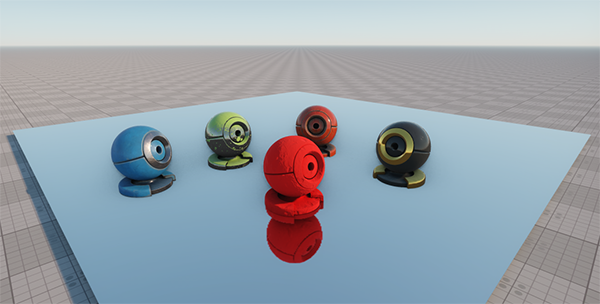 For dynamic reflections to be rendered, the Rendering -> Dynamic Reflections -> Enabled flag should be set. The reflection mask allows controlling rendering of dynamic reflections into the reflection camera viewport. This mask can be set for dynamic environment probes and planar reflections. Decide, which bit of the viewport mask would be responsible for reflection of the object. Open the Camera Settings window and enable the selected bit in the Reflection Viewport mask of the camera. 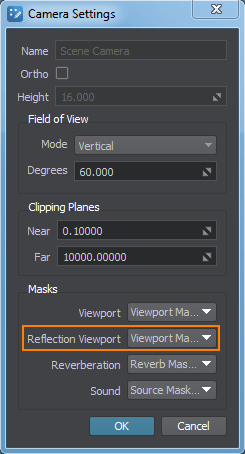 In the Materials Hierarchy, select the reflective material and enable the same bit in the Planar Reflection Viewport Mask in the Parameters tab of the Material Editor. In the World Hierarchy, select the node to be reflected and go to the Node tab of the Parameters window. In the Surfaces section, enable the selected bit in the Viewport Mask for all surfaces that should be reflected. 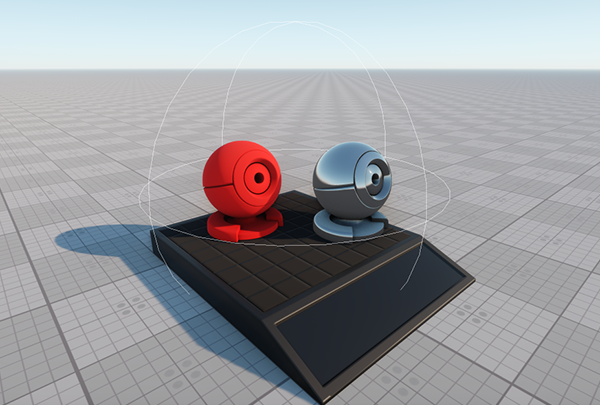 You can create the special low-poly LOD surface that will be used for reflections only; the viewport mask of such a LOD shouldn't match the camera's viewport mask to exclude it from rendering. In the Materials Hierarchy, select the material of the node that should be reflected and enable the selected bit in the Viewport Mask in the Common tab of the Materials Editor. Enable Screen Space Reflection to produce reflections of other nodes in the scene: on the Menu Bar, toggle the Rendering -> Features -> SSR option on. The SSR effect should be also enabled for the reflective material: go the Post Processing section of the States tab and check if the SSR option is enabled. Dynamic reflections provided by environment probes can be optimized in the same way as described above. To specify the reflection viewport mask for the environment probe, go to the Environment Probe tab of the Parameters window and set the Reflection Viewport Mask parameter in the Baking Settings section. The reflection viewport mask takes effect only when the Dynamic flag is set for the environment probe. An example of using reflection masks is also available in the Content Optimization video tutorial. This method is available for dynamic reflections provided by Environment Probes only. In the Menu Bar, choose Windows -> Settings and go to the Visibility Distances section of the Settings window that opens. For the Dynamic Reflections parameter, specify the distance from the camera, starting from which the reflections aren't rendered.